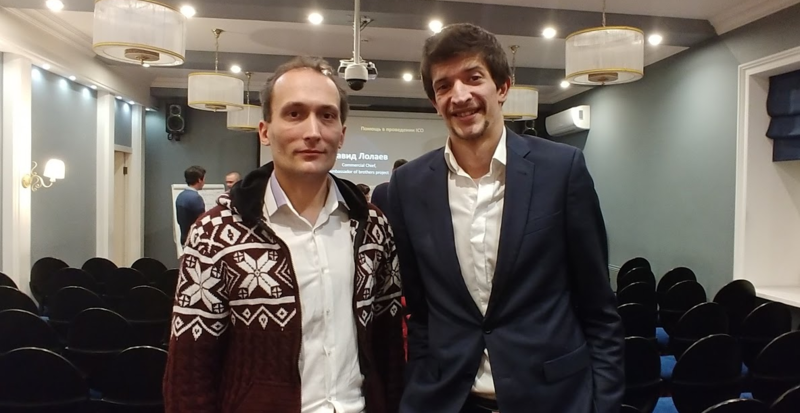 David Lolaev (right) spoke at the meeting with a report. This is the head of our partner – the company ICObrothers. After the event, a meeting was held on setting up the services and the quality of providing services to customers.